Weekend rally successes: 17-year old Oliver Solberg won Rally Aluksne, the first round of the Latvian championship, in his father’s Volkswagen Polo GTI R.
He finished a quarter minute ahead of the Mini JCW WRC of Ukraine driver Valeriy Gorban. It was his first outright rally win. Oliver was co-driven by Briton Aaron Johnston. 21-year old Russian driver Nikolai Gryazin won the opening round of the Norwegian championship, Sigsdalrally, a half minute ahead of fellow Skoda Fabia R5 driver Henning Solberg. Ole Christian Veiby was third in a Volkswagen Polo GTI R5. Mads Ostberg retired his Group N Subaru with a fuel leak. Swedish National Team driver Mattias Adielsson will compete in he European Rally Championship ERC1 Junior events in a Citroen C3 R5 run by Sainteloc Racing Team. He already competed in the 2018 Rallye du Var in this car for Sainteloc. It is reported that Porsche are developing the 718 Cayman GT4 Clubsport car for use in R-GT events in 2020. This will have a 425 bhp 3.8 litre flat six engine. 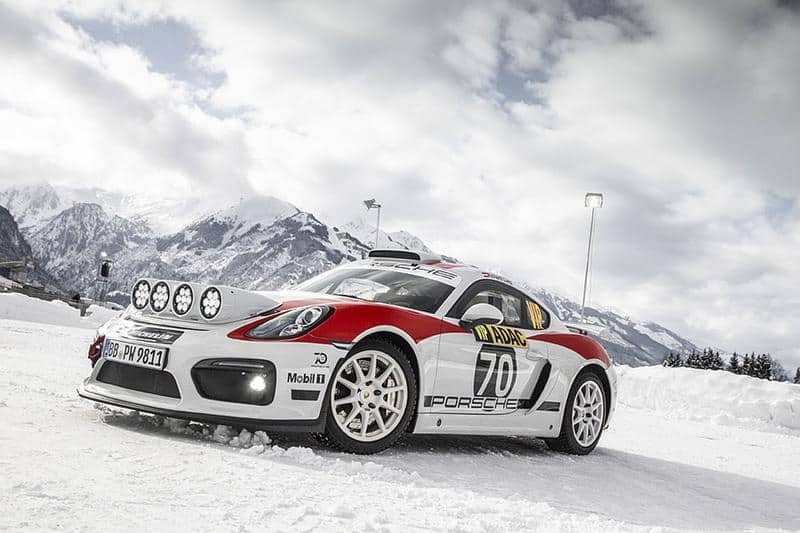 Last year Romain Dumas presented a Cayman GT4 concept car as a zero car in Rallye Deutshland. Mads Ostberg has announced he has a “complete” programme of WRC2 PRO events on behalf of Citroen Racing. His C3 R5 is to be run by the Belgian racing team DG Sport. His WRC debut with the car will be the Swedish Rally, where Citroen Racing have entered Yoann Bonato. 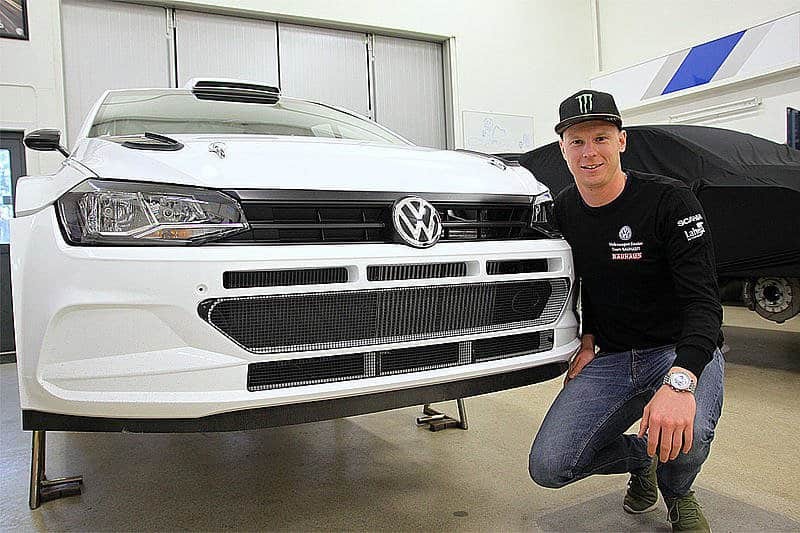 Torstein Eriksen remains his co-driver. His first outing with the car will be on Rally Hadeland in Norway on January 27, the same weekend as Rallye Monte Carlo. Newly allocated WRC drivers for Rally Sweden: Lorenzo Bertelli 37, Marcus Gronholm 68, Janne Tuohino 92. The JWRC entries are down to 13, Mattia Vita having withdrawn. Fresh back from Peru, Sebastie Loeb has had two days of Monte Carlo testing, Saturday on snow and Sunday in clear conditions. He reported the Hyundai was oversteering, so he looked for ways of changing his driving style to overcome this. He said the Citroën had the tendency to understeer, but with the back end well in place. He had wanted the C3 not to understeer as much, but the Hyundai is more to his liking. Anyway, “The Monte Carlo Rally is won more by driving with the head than driving on the limit” he said. Two Swedish rallycross drivers will meet at next weekend’s Bergslagsrally, the first round of the Swedish championship. Johan Kristoffersson (above) has a Volkswagen Polo GTI R5, while Mattias Ekström has a Fabia S2000. Around 100 drivers have entered the first round of the Finnish championship, next weekend’s Arctic Rally headed by the celebrity entry for Formula 1 driver Valtteri Bottas, with co-driver Timo Rautiainen. They are to drive a Fiesta RS WRC which is ineligible for scoring points. Over 20 R5s have also entered.